[George William Childs, American publisher.] Cabinet card portrait by the F. Gutekunst Co. of Philadelphia. 14 x 10 cm albumen print, on 16.5 x 11 cm card. In fair condition, lightly-faded. Docketed on reverse: 'G. W. Childs | who erected monument over <?>' From the papers of the Anglo-American astronomer Mary Proctor (1862-1957). [Printed leaflet.] Helps and Hindrances of Deaf Children in Acquiring Speech and Language at the Natural Age. Read before First International Congress in America on the Welfare of the Child. Washington, D.C., March 10 to 17, 1908. 4pp., 12mo. Bifolium. 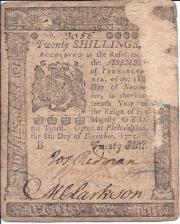 In fair condition on aged and lightly-worn paper. 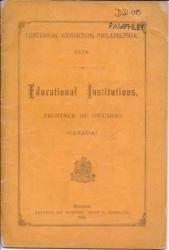 With shelfmark, stamp and label of the Board of Education Library, London. 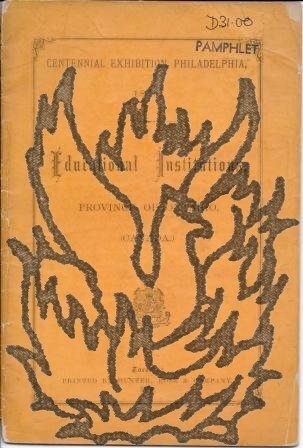 [American Society for the Extension of University Teaching, Philadelphia.] Four printed items: 'Annual Report of the Secretary' for academic years 1898-9 and 1899-1900; 'Annual Report of the Board of Directors 1900'; 'Ten Years' Report', 1890-1900. American Society for the Extension of University Teaching, Philadelphia, Pennsylvania. All four items unbound. The two annual reports (both 16pp., 12mo) in fair condition, on aged paper; the other two items with wear and damage to outer leaves. The 'Ten Years' Report' is 44pp., 12mo; and the 'Annual Report of the Board of Directors' is 12pp., small 4to. All four items with stamps, shelfmarks and labels of the Education Department Library, London. Autograph Translations by Robert Proud of Pennsylvania, of 'On Gardens, From the Latin of Lord Bacons Essays &c' and the 'Laus Mortuli' of Virgil. With printings of Proud's 'Autobiography' and Charles West Thomson's 'Notices'. The autograph of 'On Gardens': 'Translation by R. P. Anno. 1802.' Thomson's 'Notices': 'Read before the Council, August 16, 1826.' 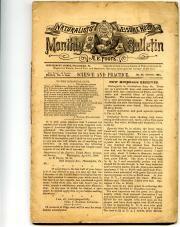 The 'Autobiography' from the Pennsylvania Magazine of History and Biography, January 1890. ONE: Autograph translations by Proud. 14pp., 12mo. Unbound, stitched into a booklet of laid watermarked paper, with deckled edges. In very good condition, neatly and closely written on lightly-aged paper. Upwards along the inner margin of the first page Proud has written: 'Translation by R. P. Anno. 1802.' The translation of 'On Gardens, | From the Latin of Lord Bacon's Essays &c' covers the first 12pp., paginated 1-12; the 'Laus Mortuli. Translated at Hackney near London from a Lat. Epigram of Virgil, abt. the year 1752. by R. P.' covers the last two pages, and is unpaginated. Autograph Letter Signed ('Wm. M Eldridge Jr') from the Philadelphia inventor William M. Eldridge to Valentine Mott of New York, responding to 'slanders', and claiming that police searches have revealed 'the authors of the cards and all the mischief'. 3pp., 4to. 60 lines of text. Bifolium. Good, on aged paper. Addressed, on reverse of second leaf, to 'Valentine Mott M.D. | 25 Park Place | New-York'; with three postmarks, one from Havre and another 'Forwarded by Lewis Rogers & Co.' (Mott was in Europe at the time of writing.) An tantalising letter, regarding an intriguing affair about which nothing else appears discoverable. Eldridge is sending 'a hand bill, 5000 of which have been circulated thro Paris and the towns in its vicinity'. Autograph Letter Signed ('T. C. Grattan') from the Irish writer Thomas Colley Grattan to Edward D. Ingraham of Philadelphia, regarding his article 'The Irish in America', published in the North American Review. 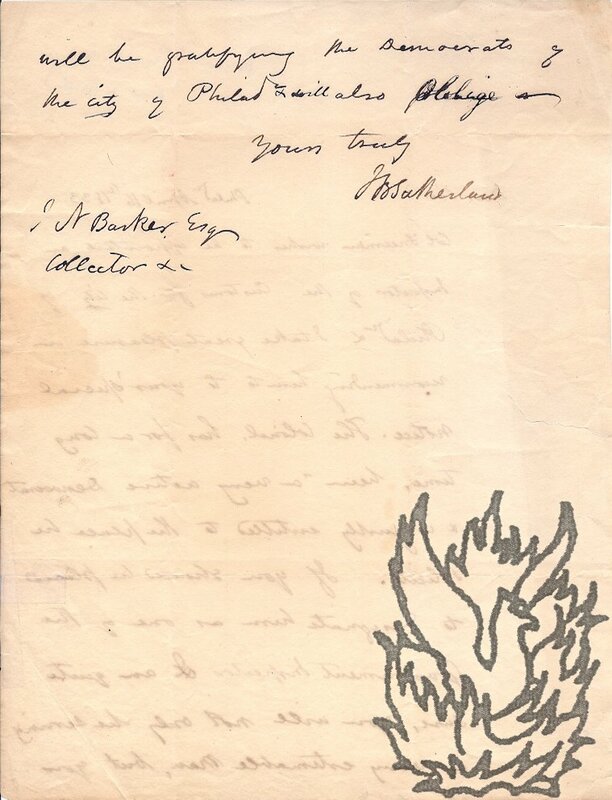 Autograph Letter Signed from Catharine Cecil, daughter of the evangelical clergyman Rev. Richard Cecil, offering the copyright of a book ['Memoirs of Mrs Hawkes, late of Islington' (1838)] to an American publisher [Joseph Whetham of Philadelphia?]. 5 Little James Street, Bedford Row, Holborn; March 1837. 3pp., 4to. Bifolium. Good, on lightly-aged paper, with minor traces of previous mounting on reverse of second leaf. She writes 'as a stranger' to the recipient: 'the person who now addresses you is a Daughter of the late Revd. Richd. Cecil, whose works you are probably well acquainted with'. She is about to publish a book which she is 'induced to think would have a very good sale in America' and has been recommended to apply to the recipient 'as a Person likely to be willing to enter into negociation with me on the subject'. 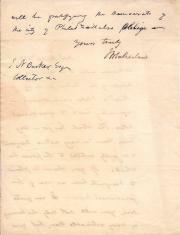 Autograph Letter Signed from the Pennsylvania politician Joel Barlow Sutherland to the soldier and playwright James Nelson Barker. 4to, 2 pp. Fourteen lines. Text clear and complete. Fair, on aged paper neatly repaired with archival tape. Addressed to Barker as 'Collector &c'. Recommending the appointment of 'Colonel Freeman' as 'an Inspector of the Customs for the City of Philadelphia'. Freeman is 'a very active Democrat' and 'a very estimable man'. Should Barker appoint him, he will be 'gratifying the Democrats of the City of Philadelphia & will also oblige - | Yours truly | [signed] J B Sutherland'. In 1844 Sutherland himself received a similar letter from Edgar Allan Poe, recommending Robert Travers. 22, High Street, Bloomsbury, London, W.C.: 1867, 1873 (2), 1874; 9, Tottenham Terrace, White Hart Lane, Tottenham, N.: 1881, 1882 (4), 1883 (4), 1884 (2), 1885 (2), 1886 (4), 1887. S. and J. Brawn, printers. All items octavo, stitched and unbound. Page range between 16 and 32. Each catalogue carrying an illustration on the front cover. The condition of the collection is variable. All items on aged paper: some dogeared or with closed tears, and a handful with damp and other staining. Several catalogues annotated in a contemporary hand, and one with an entry cut out. Coleman's speciality was 'Heraldry, Genealogy, Topography', and the first three catalogues are headed 'Pedigrees! 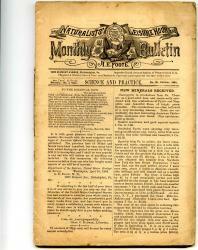 Alphabetical and Descriptive Catalogues of the Publications of the Presbyterian Board of Publication. Undated [circa 1860]. Philadelphia: Joseph P. Engles, Publishing Agent, No. 821 Chestnut Street. 12mo: xxvi + 64 + [i] pp. Unbound. Stitched as issued. Last leaf blank. Text clear and complete. On aged paper, with heavy wear to outer leaves, and staining to first and last half-dozen leaves. Ownership inscription of Charles Ira Gordon Skeen of Covington, Virginia, along outer margin of title. Two vignettes: the first on the title (three boys entering an library and being handed books by an adult) and the second at the head of the Descriptive Catalogue (family at the dining table). The main body of volume (pp.1-61) consists of the Descriptive Catalogue, in small type, of 553 items. A Description of a Most Valuable Collection of Autograph Letters and Historical Papers [...] American Revolutionary Broadsides, Scarce Washington Portraits, American Views, Miscellaneous Portraits, Rare Washington Pitchers, and Historical Chinaware. Octavo, 111 pages. 1098 lots. Six plates. Stitched and unbound. Addendum slip. In remains of original green printer wraps, with both covers loose and heavily chipped. 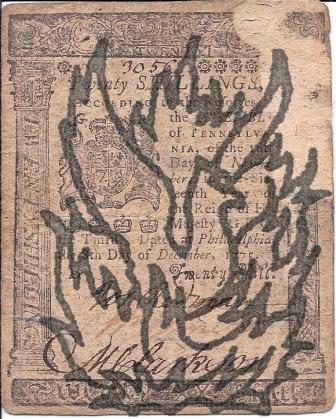 On aged paper, with chipping to a handful of leaves. Partially unopened, and with damage to the last two leaves through clumsy attempt at opening. A scarce item valuable for the Washingtoniana that it contains. A frail survival that would benefit from sympathetic binding. No copy on COPAC. 8vo: [viii] + 265 + [ii] pp. Printers slug on page following 265, followed by a full-page advertisement by Harrison Hall, Philadelphia, and Collins & Co., New York, for 'Wilson's Ornithology', dated 'Philadelphia, July 1832'. In original brown paper boards, with brown cloth spine carrying white printed label. Tight, but in poor condition, with light spotting and damp-staining. Unobtrusive repair to closed tear on reverse of title-leaf. Ownership inscription of Joseph Malcomson (mill owner of Portlaw, County Waterford) to rectos of first four leaves, including title. [CATALOGUE] Modern Publications, and New Editions of Valuable Standard Works, Printed for M. Carey . . ."
121 Chesnut Street, Philadelphia, May 1816. pp., 12mo, unbound (formerly bound into a book? ), crude repair to spine, partly detached leaves, foxing, text clear and complete. Subjects; Voyages, Travels, Geography, and Topography; Miscellaneous; Divinity; Medicine, Surgery and Chemistry; Novels, Romances, etc. ; Education (most substantial section); Books to be published. Note: I have yet to trace another copy but the major American libraries have microform copies, as does CUL, the only holding library listed on COPAC. Document headed “Subscriptions to the Society for bettering the condition of the Poor"
And others. Philad[elphia] manuscript 1829. Single leaf 7.75 x 6.25 inches, variously signed, recto only, in ink and pencil. Folded twice, edgeworn with tears that long ago were reinforced verso with several strange tape-products, none of which have bled through. The designated recipients of any donations include: Stephen H. Tyng [pencil], G.C. Potts, Robt. 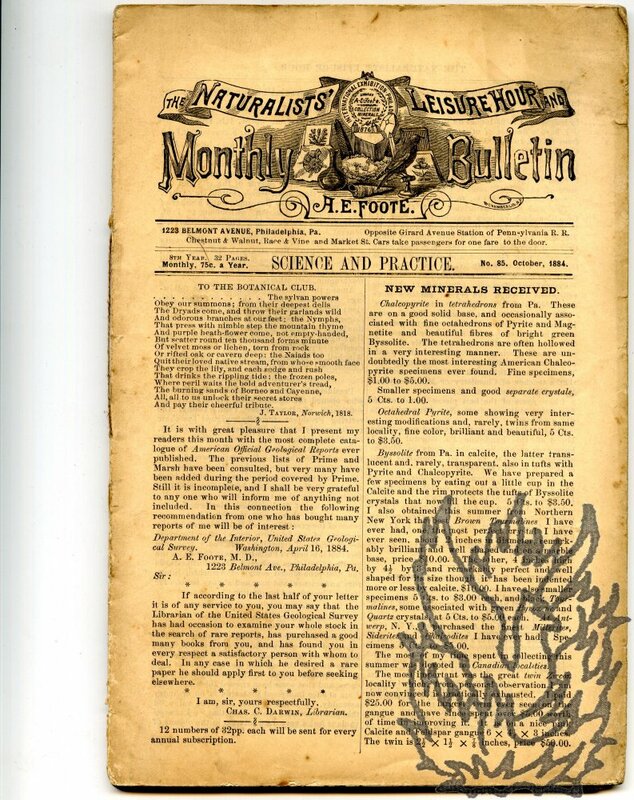 Ralston, Jackson Kemper , G. T. Bedell [pencil, with flourish],Matthew S. Bevan, James San-- [? ], Matthew Carey, Ezra Stiles Ely, G. W.Ridgely, E.